What do an elephant, a monkey, and the United States Federal Government have in common? Under federal copyright law (17 U.S.C. §101 et seq.) works created by the federal government cannot be protected by copyright law - the taxpayers paid for it, so we all get the right to use it. For entirely other reasons, non-human animals cannot be authors, and there is no copyright for what they create - it's also in the public domain. Now, I know what you're thinking...if corporations can be authors under federal law, and can author works in which they own copyright, what sense does it make to say that highly intelligent, not to mention cute elephants that paint wonderful watercolors, and monkeys who are photographers can't be legal authors? Besides, how do we KNOW that monkeys don't have copyrights? "The Office will not register works produced by nature, animals, or plants. Likewise, the Office cannot register a work purportedly created by divine or supernatural beings, although the Office may register a work where the application or the deposit copy(ies) state that the work was inspired by a divine spirit. 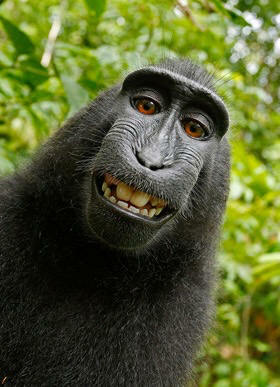 Examples: A photograph taken by a monkey. A mural painted by an elephant...."
It turns out that the legal justification for this policy is, "The copyright law only protects "the fruits of intellectual labor" that "are founded in the creative powers of the mind." (ZAP!) - So...it turns out that the reasoning IS the same! When was the last time that you thought that there was even a shred of "creative powers of the mind" in the government? It may yet turn out that animals (at least smart ones like dolphins) have "creative powers of the mind". That would certainly make a monkey out of the guys at the Copyright Office. As Douglas Adams wrote in "A Hitchhiker's Guide to the Galaxy,"
"...on the planet Earth, man had always assumed that he was more intelligent than dolphins because he had achieved so much-the wheel, New York, wars and so on-whilst all the dolphins had ever done was muck about in the water having a good time. But conversely, the dolphins had always believed that they were far more intelligent than man-for precisely the same reasons." Hit Show Upsets Pennsylvanians (and others)! "Untrusting of outside law enforcement, some Amish in Lancaster County, PA have for many years regularly turned to a small organized group of men for protection and justice. 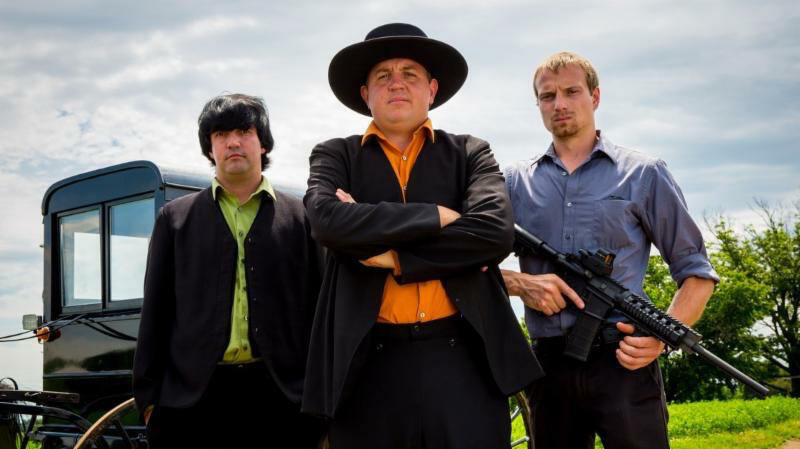 Discovery's new series Amish Mafia provides a first-ever look at the men who protect and maintain peace and order within the Amish community in Lancaster." This has the Amish community quite upset because, they say, there has never been a so-called Amish Mafia and that any suggestion that the Amish would be involved in such an endeavor is disparaging, insulting and bigoted. Amish culture values pacifism and harmony, not "violence and retaliation." According to the Philadelphia Inquirer, there are a number of Lancaster County activists taking the bull by the horn. Mary Haverstick has the led the charge by creating the respectAmish.org web site. Governor Corbett and congressional officials have sent a letter to the Discovery Channel requesting it to pull the show. So why are we writing about this? Is there an intellectual property angle here? Of course. The Inquirer also reports that Brad Igou, president of the "Amish Experience" has created an "Amish Mafia Exposed" tour. So, predictably, the Discovery Channel wrote Mr. Igou a cease and desist letter, accusing him of trademark infringement. Well, maybe, but how strong is that allegation? You may recall that we wrote recently about the Washington Redskins' troubles at the USPTO. Its trademark registrations were cancelled by the Trademark Trial and Appeal Board on the basis that they are disparaging to Native Americans. "AMISH MAFIA as used for the applicant's entertainment services conveys the idea of a criminal organization composed of members of the Amish religious sect, and such a meaning is disparaging to a substantial composite of that religious sect." Of course, the Discovery Channel has appealed but, in the meantime, all it has are common law trademark rights governed by Pennsylvania law. No doubt, under Pennsylvania statutory law, the Discovery Channel would have the same problems registering AMISH MAFIA in Pennsylvania as it does on the federal level. Pennsylvania law prohibits registration of trademarks that disparage a person's beliefs or bring them in disrepute. Whether Pennsylvania courts apply this standard to a common law trademark, to the best of our knowledge, has not been determined. This will be an interesting story to follow. Patent Litigation: Collecting Attorney's Fees Just Got Easier! "The court in exceptional cases may award reasonable attorney fees to the prevailing party." (Emphasis supplied). But what cases are 'exceptional?' In the past, the Federal Circuit Court of Appeals, which hears patent appeals, only allowed an award of attorneys fees if the claim or defense was 'objectively baseless' based on 'clear and convincing evidence.' This standard favored patent owners seeking to enforce patents and provided a bright-line, predictable result. "...an "exceptional" case is simply one that stands out from the others with respect to the substantive strength of a party's litigating position (considering both the governing law and the facts of the case) or the unreasonable manner in which the case was litigated. 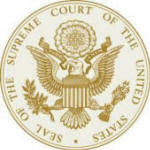 District courts may determine whether a case is "exceptional" in the case-by-case exercise of their discretion, considering the totality of the circumstances..."
The Federal Circuit recently considered the Icon Health & Fitness case on remand from the Supreme Court and sent the case back to the lower court for decision on the attorneys fee issues. The Federal Circuit reminded the lower court that the attorneys fee decision does not stop with a determination that a case is 'exceptional.' The lower court has discretion to deny attorneys fees even in exceptional cases. The decision of the lower court judge will be reviewed on appeal only to determine whether the judge abused his or her discretion, which means the Federal Circuit will defer to the lower court judge in almost all cases. The effect of the decisions is to transfer power from the Federal Circuit to the district court judges who hear the witnesses, see the evidence, and observe the litigation behavior of the parties. The effects on the parties are to reduce the predictability of patent litigation, to increase the risk to every patent litigant, and generally to discourage patent litigation..